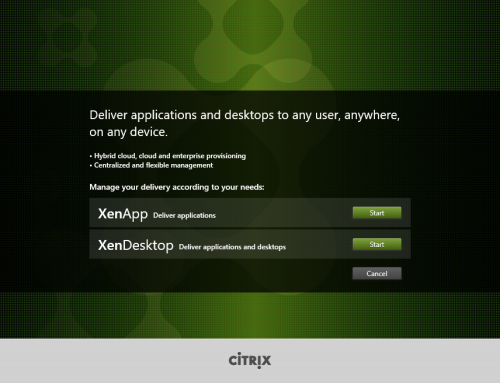 Citrix XenApp 7.6 and XenDesktop 7.6 were anounced and are available right now. 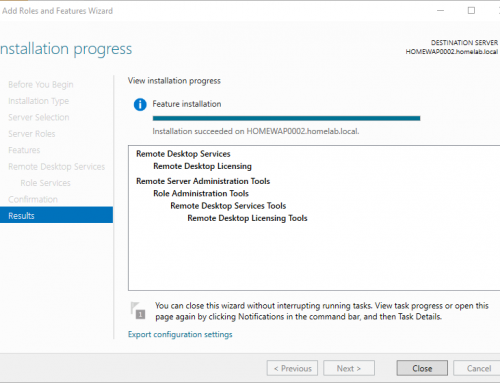 Let s have a quick look at the installation of StoreFront 2.6 that ships with that version. 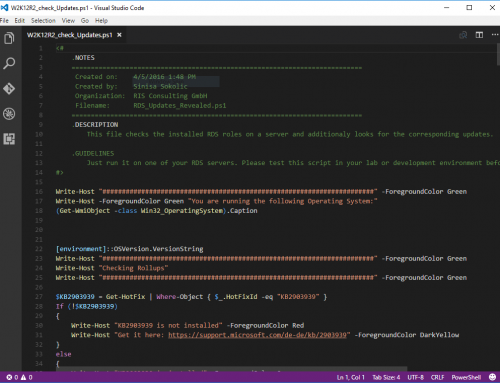 This is a first blog post in a series of three covering the installation and upgrade of StoreFront 2.6 from StoreFront 2.5, it´s configuration and at last the creation of a server group with two StoreFront servers. These are the updated features stated in edocs. I will have a deeper look into the different updates in the configuration post about StoreFront 2.6. First off all let´s do it manually to see if anything exiting happens. Start the installation from the mounted ISO. 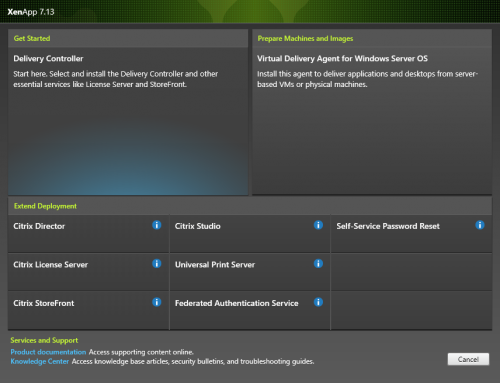 As I have separated servers for all of the XenApp and XenDesktop server roles I will choose only StoreFront here. Won´t change the installation path, NEXT. In my demo environment firewall is disabled by GPO, so lets keep this setting at “automatic”, NEXT. No errors, great. Lets click FINISH and open the StoreFront Management Console. Usually I am no friend of non-automated installations. You can see the command-line that is necessary to do a silent installation of StoreFront. The same command-line should apply for an upgrade from an earlier version of StoreFront (Please always test in a test stage before applying in production). The second server in my demo environment is already installed with StoreFront 2.5. Lets check what the upgrade looks like. Again I start the installation with the mounted ISO. In this case push the upgrade option on the left side. Again I have read the License Agreement and I´m good with that, NEXT. Fine to have some hints regarding the upgrade. The new installation on a fresh server wouldn´t have told me that I need to check my Subscription Advantage date. I´m ready, NEXT. I will upgrade the license server on another system and another post. 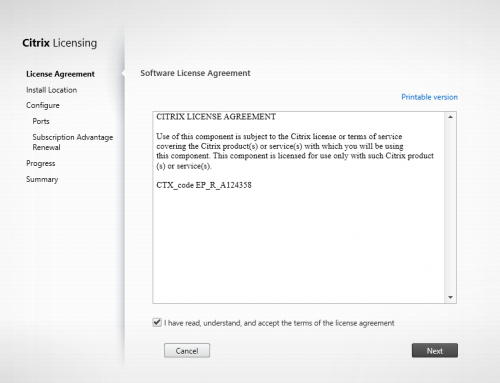 I still do not understand why Citrix only checks the local system for available License Server installations. They should think of enterprise implementations were this usually is not the case. So please let me continue, NEXT. As stated before I have no firewalls on my demo systems, so I don´t care about this. NEXT. The Summary is fine, UPGRADE. That´s it for the moment. Please check back soon for the configuration part of StoreFront and the creation of a sever group. All information without warranty for any failures in your environment.